Seems like a sci-fi cliché. “Photon Therapy Facial” or colour light therapy offers immediate results with zero side effects. It isn’t magic. Photons are tiny particles of light, because they are too small to see by the human eye we ignore them. Together they are light as we can see it. The sun showers us with photons each and every day. Even our light bulbs produce photons that light up our world and set the mood. First of all we are all familiar with the benefits of the sun, also because we are aware of it’s damaging side affects care and attention to exposure must be maintained. However, LED technology has offered us a chance to focus the use of photons and take advantage of the benefits without the negative side effects. It is important to note here that different colours (wave lengths) and light emitted by LEDs are UV free. Most note worthy, NASA has published and continues to study light therapy for healing wounds and benefiting cancer patients. There have been thousands of documents released regarding light therapy. Step in the beauty industry as it constantly searches for the fountain of youth and good health. 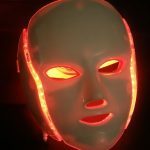 By exposing the skin of the face and neck to specific colours of LED light, people enjoy the benefits that this exciting and all natural treatment can provide. We are only using technology to focus what is available in nature to promote the body’s natural ability to heal and rejuvenate itself. 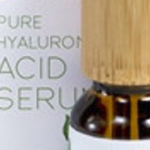 reduces aging and loose skin, enlarged pores, fine wrinkles. The colour of light that we will apply is different depending on the skin’s needs. Red is for anti aging, blue to kill bacteria and pink to speed healing just to mention a few. 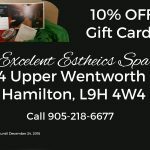 At Excellent Esthetics we will assess your skin’s needs and custom select settings that will benefit you most. LED light therapy has no side effects and is unlike other treatments of scars or acne such as laser treatments and its potentially damaging side effects. All things considered the Photon Facial is great for the all natural approach to skin care, anti aging and treating acne.